I have not always been very good about reading the bible. I’m actually not an avid reader in general, which has always made reading the bible seem like an impossible task. In the past, I would always crack open the bible to the first page and begin reading in Genesis 1:1 and by Genesis 5, where is starts listing the descendants from Adam to Noah, I was pretty much done. Even though Catholics get a bad rap for not reading and studying the bible, I knew from my Catholic upbringing that during every Mass scripture is read during the Liturgy of the Word. In fact, each Sunday we read from the Old Testament, New Testament and the Psalms (and during daily Mass there are 2 readings). So I was getting a good dose of scripture, right? Well, not so much. Yes, reading scripture during Mass is important, necessary, wonderful, and all of those things — but I was still missing a lot! I realized that I not only wanted to read, but to memorize and meditate on the Word as well. I just wasn’t sure exactly how to do that, so I hit up Pinterest for inspiration. Through my search, I discovered bible journaling. Everything I found revolved around using Protestant bibles. In these journaling bibles I found some amazing, creative, and beautiful faith-filled examples — but I wanted a Catholic journaling bible. So I went searching. When I had trouble locating one I emailed the Catholic Company and asked at my local Catholic book store but there were none to be found. this post from Catholic Bible 101 The Bible – 73 or 66 Books? Also, with some Protestant bibles, certain liberties are taken with the wording which I feel sometimes hampers gaining a true understanding of what the scripture is saying — but that is a post for another day. The point is, I wanted a Catholic journaling bible and there are none to be found, though I have it on good authority that there is talk of one being in the works. However, it will mostly likely be a few years before one is approved and for sale. In the meantime, I do have a bible that I love and I write in often but I do it around the edges where room allows. I also hightlight, and make notes in it which helps me understand and meditate on what I am reading. The thing I do most often though, is pick a scripture for the day and I create, meditate and pray in a beautiful journal that I got (see photo at the beginning of the post). Some people who journal – use stamps, stickers, tape, and a variety of other things to create some beautiful and meaningful pages. I have just been using markers, colored pencils, and highlighters – but I’m looking to expand my journaling horizons. To see a fantastic post on bible journaling in a Catholic study bible, head over to a post at Catholic Icing – Bible Journaling For Catholics- FINALLY An Affordable Catholic Bible Option!!! Want to be part of a group of warm, welcoming, creative women and learn more about Catholic bible journaling? 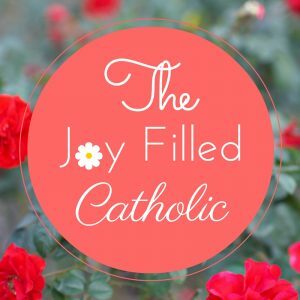 Join the Catholic Women’s Bible Journaling group on FB and take a moment to introduce yourself! Wondering what bible I use? I love the Didache Bible and my children use the Ignatius Study Bible and I added Tabs for quick reference. For a list of Approved Catholic Bible just visit this link on the USCCB website. Excellent post and God bless you with your spiritual reading, Christie! Wow that was such a great post!! Hi, Christie. Lovely post! Have you thought about getting the Douay-Rheims Textual Concordance? One can read the Scriptures thematically from A-Z. For instance, by checking the Index, one can find key passages grouped together pertaining to confidence, grace, or matrimony, etc. So, there’s no reason to read the Bible as one normally does with any book from Genesis to Revelation to find what topic we might be looking for or are concerned with. I ordered my copy from Catholic Company.